Let’s get right down to it… This is a HUGE update and we have lots to talk about. We at Gun Media and IllFonic are very proud to announce that we’re going to be able to give everyone that pre-ordered the game, and all those that buy the game from here on out, the most-often requested features and content! Friday the 13th: The Game will feature the multiplayer experience that we’ve been building to date; but we’re also announcing that we’re adding a single player experience and the inclusion of AI bots!!! We’ve heard it from many fans on Facebook, Twitter, Instagram, our own Forums, Reddit, in person at various conventions… You want offline play and Single Player, and we’ve listened and found a way to accommodate it in the budget and our schedule. While the addition of Single Player and AI Bots means a bigger game for all, they also mean a delay from a Fall 2016 release window to a new launch window scheduled for Spring 2017. Gun Media and IllFonic will use the time to lay down the groundwork for the single player experience while continuing development of the multiplayer portion with additional content that we’re about to talk about below. The Lowdown On The New Additions! We’re also announcing that Tommy Jarvis will return to Camp Crystal Lake as a playable character! As you all likely know, Tommy Jarvis is featured in multiple films in the franchise and is one of Jason’s main protagonists and he’ll return ready for battle. We have a big new map to announce too! Today we’re revealing that Packanack Lodge is our 3rd playable map that we’ll be offering in the multiplayer game. Fans can return to the scenes of Friday the 13th: Part 2 and play out their own horror movies in legendary film locations. As of today, we’re happy to announce that all those who believed in the game and have already backed or pre-ordered to support the game, those individuals will receive single player for free when the game releases. No additional charges. The new price of the game henceforth will increase from $30USD digital to $40USD digital, and the physical copy will remain priced at $60USD. We believe that digital prices should include a savings for those that purchase them, and those that want to hold a physical copy in their hands can pay more for it, since it costs more to produce, manufacture and distribute. It’s logical and we at Gun Media scratch our heads when we see digital pricing for games that matches the physical pricing. Gun Media, the designers of the upcoming Friday the 13th: The Game released new gameplay footage showcasing some of Jason Voorhees special abilities within the game. Watch below to see a more in depth look at how the game works and what happens when you try to rock and roll your way to survival! FUNDED: JASON VOORHEES LIVES AGAIN! FRIDAY THE 13th: THE GAME is A GO!!! The Kickstarter campaign currently underway to bring the Friday the 13th and hockey masked slasher Jason Voorhees back to the video game world for the first time since 1989 has reached its funding goal! 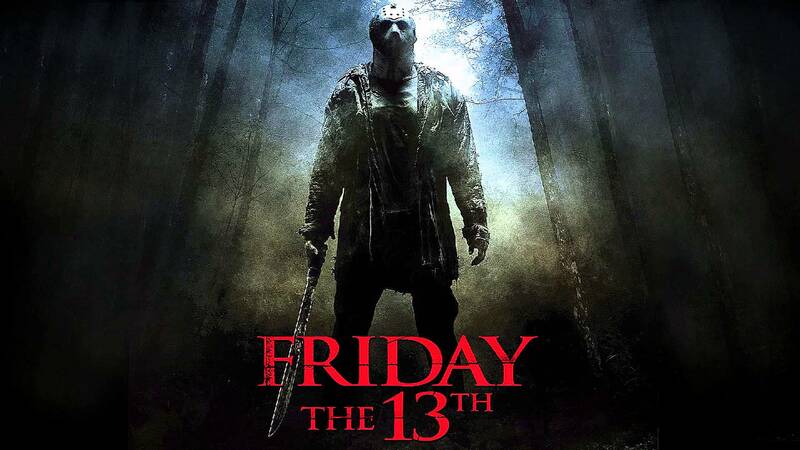 Endorsed by the the franchise’s creator Sean Cunningham and recruiting the talents of Kane Hodder (Jason) and legendary make-up effects artist Tom Savini who has previously worked on the films, Friday the 13th: The Game pits seven camp counselors against the unstoppable Jason Voorhees. The camp counselors work together, and sometimes against each other, in an attempt to survive a night at Camp Blood. And if they are extremely lucky possibly even kill Jason. The game is currently only multiplayer but there is still time to pledge money to help it achieve a single player mode along with other rewards. Follow the link to check out more on the game’s Kickstarter page! Hurry while there is still time left! Meanwhile, party like it’s Friday the 13th! Don’t forget! An Official Friday the 13th game is in the works being made by Gun Media and I also made this video as a tribute to that.If you get the chance go pledge on the Kickstarter page! The song originally premiered in the movie Better off Dead starring John Cussack. I thought the lyrics and sound of the song had a certain horror theme to them even though it is poppy, but it is also a little dark. So I used Friday the 13th footage and mixed it in. FAN MADE music video using Friday the 13th clips to the song One Way Love performed by E.G. Daily. I DO NOT OWN ANY RIGHTS TO THE MATERIAL USED. All Rights belong to the respective owners. REJOICE Friday the 13th fans! For the first time since 1989 Jason Voorhees will return to kill on video games again. This time in more Horrific way than on the NES game of the 80’s. The game once known as Summer Camp being made by Gun Media has just been rebranded as an official Friday the 13th The Game with full endorsement by Sean S. Cunningham, the creator of the series. The creators are currently running a Kickstarter detailing the story of how this all game together and if you get in on the early bird special you can get the game game when it releases next fall for $25. Also, it should be noted that Kane Hodder, the man who has played Jason the most in the film franchise, returns to portray Jason in the came and make-up and special effects artist Tom Savini known for his work in the Original Friday the 13th film and also Friday the 13th: The Final Chapter will also be lending his talents to the project. Watch the reveal trailer below and also follow the link to the Kickstarter page to donate to the cause!